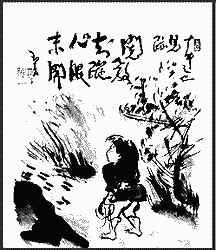 Regardless of what specific path one follows, the story in the Ten Zen Ox Pictures is a most beautiful representation of the entire journey to the rediscovery of the True Self. It is said to have been created about 800 CE. 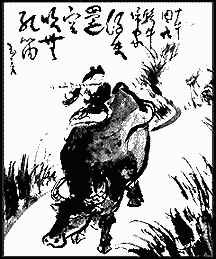 The Ox represents the Self being sought, and the person is the Seeker. 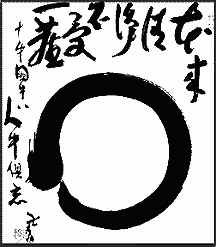 1: The Self is faintly intuited, like sensing the presence of the Ox, and the journey begins. 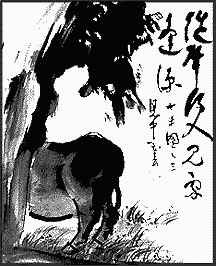 2: Like finding a few hoof marks of the Ox, traces of the teachings of the path are found. 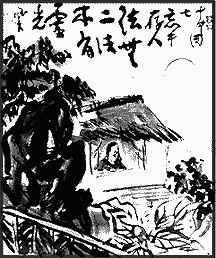 3: The Ox is glimpsed, as one comes to see that the Self is beyond the personality self. 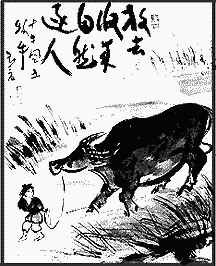 4: The Ox has been caught hold of, and the pursuit of the Self is now firmly practiced. 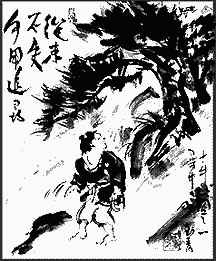 5: The Ox is tamed, as the mind is tamed, while staying focused on finding the Self. 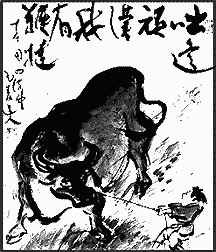 6: The Ox is ridden, as the mind is mastered, becoming a friend on the inner journey to Self. 7: The Ox is left aside, as the Seeker rests in the stillness of the inner chamber. 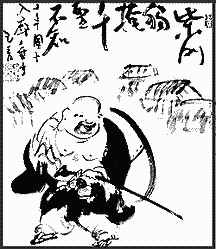 8: Both Ox and Seeker are forgotten, allowing the individual self to rest in the True Self. 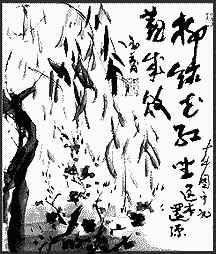 9: Ox and Seeker merge into emptiness, wholeness, beingness; the absolute Truth. 10: The Realized returns to the marketplace of life, living in the world, yet in the Self.